If you’re looking for the perfect place to dine with both delicious food and a gorgeous view, you will have plenty of options along Highway 30A. When you stay in our 30A vacation rentals, you will be just a short distance from a tasty meal. To help you decide where you should eat during your vacation, we’ve made a list of 4 of the best restaurants on 30A where you can dine with a view. Bud & Alley’s is a waterfront restaurant that overlooks the Gulf of Mexico. 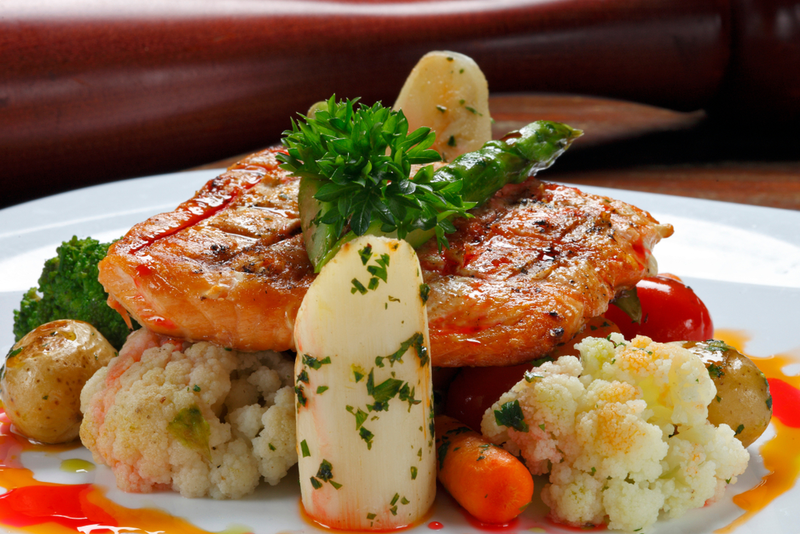 The menu includes a variety of Gulf coast classics paired with Southern-style cuisine. 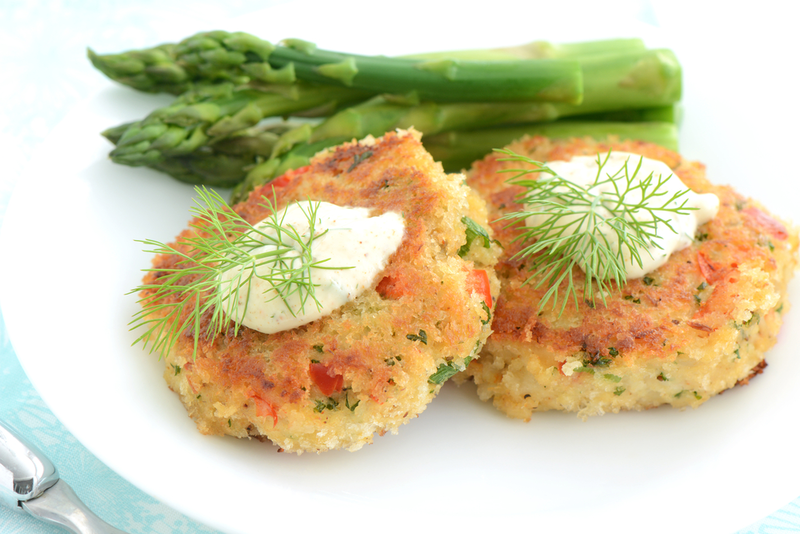 You can try the restaurant’s famous crab cakes, or order a center cut filet mignon. You can’t go wrong with any choice you make at this restaurant. As you enjoy your meal, admire the gorgeous views of the Gulf. This is also known as one of the top spots around to see the sunset. Head up to the restaurant’s rooftop terrace to grab a drink and watch the stunning sunset! Stinky’s Fish Camp is nestled right off of 30A and has become the area’s most popular seafood and wine bar! If fresh fish and other seafood delights are what you’re in the mood for, then this is the place for you. Stinky’s Fish Camp has a famous oyster log from which you can order oysters any way you want, from champagne broiled to cheddar jalapeno! Every Sunday from 10 a.m. to 3 p.m., you can enjoy live music, the restaurant’s specialty brunch menu and their famous mimosas and Bloody Marys! While you eat, take in the stunning view over Lake Allen! 723 Whiskey Bravo has a coastal-inspired fare and is another popular spot to watch the sunset! Their open-air rooftop bar has grouped seating and cozy bonfire pits that make it a great gathering area for family and friends to relax and take in the views. In the main dining area, the atmosphere is cool and casual. You can order a variety of items off the menu that changes seasonally to offer local seafood, produce and meats that are at the peak of their freshness and flavor. One thing you have to try while you’re here is the Fried Mac & Cheese Sticks! Whether you just want to grab a drink and socialize or have a delectable dinner, you will love 723 Whiskey Bravo. Another one of the best restaurants on 30A is Vue on 30A! This spot has one of the best views for dining in all of South Walton. Whether you stop in for Sunday brunch or during the evening to watch the sunset while you eat, you are guaranteed to have the ultimate dining experience. You can have fresh fish, steak, chicken, duck — you name it, it’s on the menu. For the perfect combination of land and sea, order the Surf and Turf and enjoy a meal of a 4 oz. filet and lobster tail! Pair your meal with a glass of white wine or champagne from Vue on 30A’s drink menu. If you want to be close to all of these delicious places to eat and other amazing things to do in 30A, stay in our 30A vacation rentals. All of our rentals in this community guarantee a unique vacation experience. Each comes with a variety of amenities that will make your stay special. 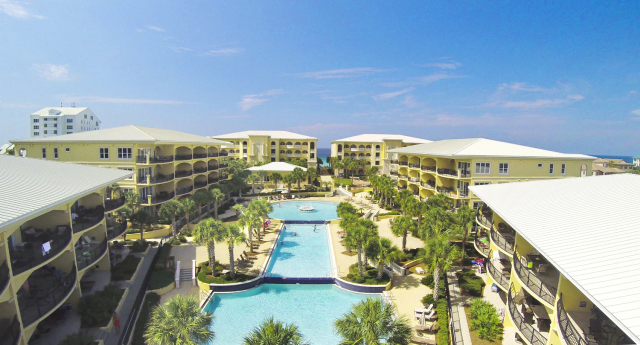 Depending on which rental you choose, you can enjoy things like swimming pools, Gulf views, private beach access and more, along with all the shops and fun along 30A. Now that you know all the best restaurants on 30A where you can dine with a view, it’s time to plan your vacation! Browse all of our amazing 30A vacation rentals to get started.